In 2003 and 2005, the author experienced two dark therapy retreats. 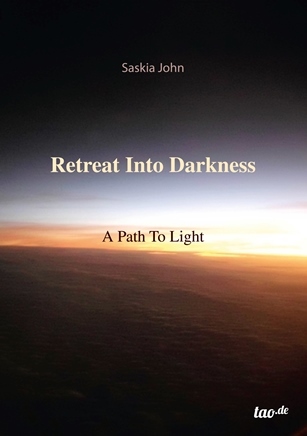 For a period of 12 and 24 days, respectively, in the confines of a completely darkened room, and in the absence of any external distractions, Saskia John was confronted exclusively with herself for 24 hours of every day. The only interruption was a one-hour daily debriefing session with her facilitator. Both journeys into the depths of her soul served to expand her consciousness, as well as presenting experiences of an exploratory, integrational and adventurous nature. She was able to investigate hitherto unknown territory, which often took her to her personal lim-its, and at times, even beyond. The account is aimed at readers interested in the subject areas of psychology, transformation, spirituality, mysticism, healing of the Inner Child, lucid dreaming, dream analysis, deep meditation, Tai Chi, fasting and Beingness experiences. The book is available through all common outlets. This short version is based on the German title “In den Tiefen meiner Seele. Erfahrungen in völliger Dunkelheit.” by Saskia John, Wagner-Verlag, first edition 2012.